You don’t need any special clothing, just loose fitting pants or trackpants and a pair of socks. As the excises are based on the pilates principle you don’t sweat so no need to shower and change afterward. Each Powertone bed is pre-set for 5 mins so a full body workout takes just 30 minutes. Yes, you need to book your appointment to make sure the beds are free, however if you need to change an appointment we are flexible and do our best to accommodate everyone. For best results you should come 3-4 times a week. No. Here at Charisma there is no contract to be locked into. We have many flexible options for memberships ranging from just 10 sessions to a full year membership. We are open 8.30am till 5.30pm Monday to Friday and 8.30am till 1pm Saturday or earlier or later by arrangement. How can I tell if I have lost inches? We offer a private weigh and measure service and are happy to calculate your inch loss for you to encourage you to meet your goals. Yes, Powertone equipment can be used by people of all fitness levels. What if I have an injury or have had an operation? If you are under the care of a specialist we would recommend asking them first if it is ok to exercise. 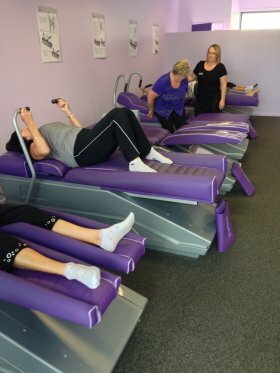 You can still use the machines with a whole range of conditions, and in most cases low impact exercise such as Powertone + Pilates is beneficial. 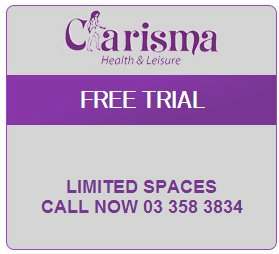 Clients with conditions such as Osteoarthritis and MS have benefited greatly from regular low impact exercise here with us at Charisma.